Jeremy Kalmanofsky arrived at Ansche Chesed in 2001 and has never looked back. He loves working here because, he says, despite all the prophecies of gloom about American Judaism, the Ansche Chesed community proves that traditional but heterodox Judaism can thrive. For Rabbi Kalmanofsky, being a congregational rabbi is the perfect job. "I spend my days performing mitzvot (commandments)—praying, studying, doing acts of tzedakah (charity) and chesed (kindness), performing rituals, and helping people," he says. "What could be better?" He is especially gratified by the time he spends one-on-one with congregants, hearing what inspires them, what they believe in and hope for, what troubles them, and what keeps them going during difficult times. He is grateful to Ansche Chesed's members for inviting him to share their joys and sorrows, from births to deaths. 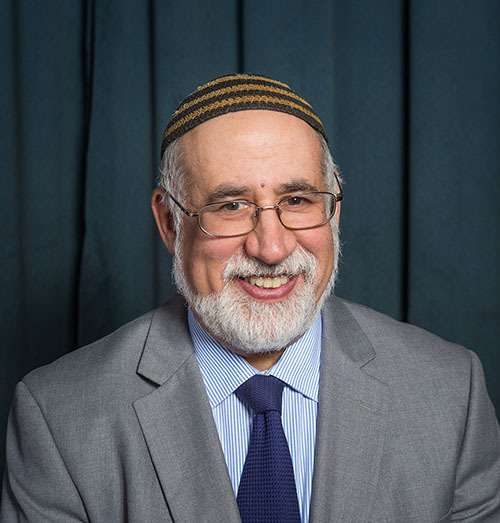 Rabbi Kalmanofsky was ordained in 1997 by The Jewish Theological Seminary of America, where he was a Wexner Graduate Fellow. 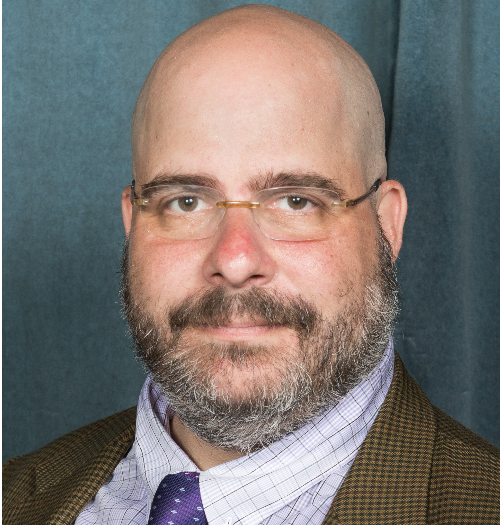 He regularly publishes essays on Jewish thought and practice, and he serves on the Conservative movement's Committee on Jewish Law and Standards. Natasha Hirschhorn is happy to have found her spiritual and professional home at Ansche Chesed, whose staff she joined in 2004. Her multifaceted role includes helping to lead services, coaching members who wish to learn how to be prayer leaders or Torah readers, and directing Ansche Chesed's Shirei Chesed Community Chorus. An accomplished singer, pianist and composer, Hazzan Hirschhorn has performed at the Toronto Jewish Music Festival, the North American Jewish Choral Festival, the Kennedy Center, Lincoln Center, Strathmore, New York University, Indiana University and Drexel University, and at venues in the U.S. and Canada. Ordained by the Academy for Jewish Religion in 1999, Hazzan Hirschhorn is a faculty member of The Jewish Theological Seminary of America’s H.L. Miller Cantorial School and Hebrew Union College’s Debbie Friedman School of Sacred Music. The founding conductor of two Jewish community choruses, Shir Chadash in Brooklyn and Ansche Chesed's Shirei Chesed, Hazzan Hirschhorn is also Vice President of Shalshelet: The Foundation for New Jewish Liturgical Music. Dedicated to sharing her enthusiasm and musical knowledge with her former compatriots, whom she taught as music director of the Kiev Jewish Youth Music Theater “Yehudim” until 1992, when she came to the U.S., Hazzan Hirschhorn has taught classes on Russian-Jewish culture at the North American Jewish Choral Festival, the Havurah Institute, both the British and New York Limmud conferences, and at programs presented by COJECO (Council of Jewish Émigré Community Organizations), the central coordinating body of New York's Russian-speaking Jewish community. Through a UJA-Federation Synagogue Outreach Network grant, she developed a program for unaffiliated Russian-speaking Jewish families, which she offered at Ansche Chesed. A native of Ukraine, Hazzan Hirschhorn studied musicology, piano and composition in the honors program at Moscow Gnesins’ Musical College and at the Kiev State Conservatory. She feels extremely fortunate to live in a country where she can freely indulge her passion for Judaism, Jewish music and educational outreach. Hazzan Hirschhorn lives on the Upper West Side with her husband, Rabbi Shimon Hirschhorn, and their daughters, Miriam and Racheli. Rabbi Hammerman loves creating dynamic Jewish learning experiences for students of all ages, from toddlers to older adults. She is committed to helping to build a warm, strong and engaged Jewish community at Ansche Chesed. Rabbi Hammerman was born and raised in Toms River, NJ, and from a young age she felt at home in synagogue and could often be found “teaching” and “leading” her real and imaginary friends. 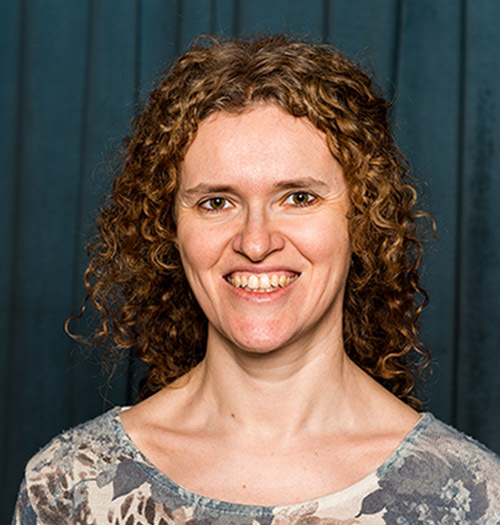 Her childhood play has become her professional passion as she now works to help others feel as comfortable and welcome in synagogue as she has always felt. 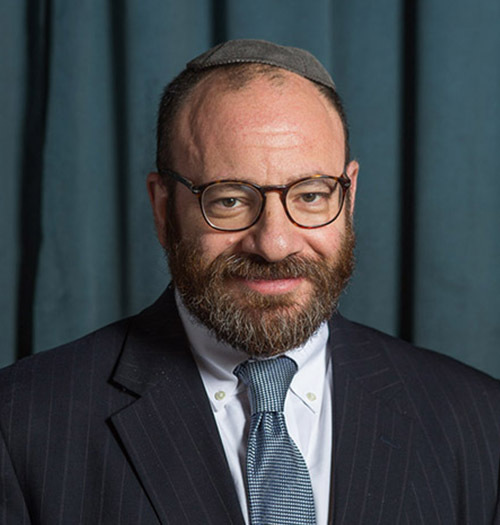 Ordained by The Jewish Theological Seminary of America, Rabbi Hammerman also received a degree from its Davidson Graduate School of Jewish Education. 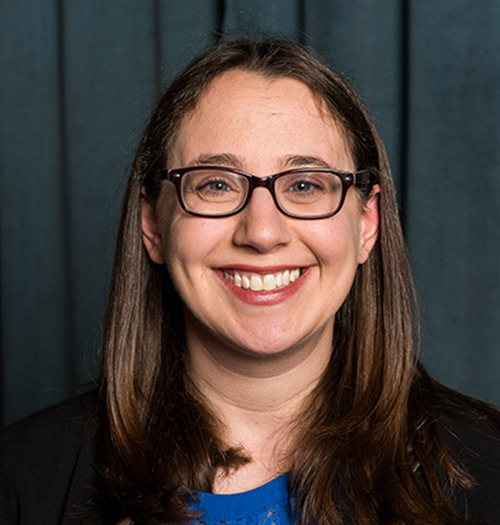 Before joining Ansche Chesed, she was a student rabbi at Congregation Eitz Chaim in Monroe, NY, and Director of Student Placement at The Jewish Theological Seminary's rabbinical and cantorial schools. She has held positions at B’nai Jeshurun; the Forest Hills Jewish Center; St. Luke’s Hospital, where she served as a chaplain; and the Solomon Schechter School of Manhattan. Rabbi Hammerman lives on the Upper West Side with her husband, Rabbi Josh Rabin, and their children, Hannah and Shai. Josh Hanft became Ansche Chesed's executive director in 2006, but his involvement with the community spans decades. He has held many lay-leadership roles, including President and Treasurer, and served on the Board of Trustees, the Executive Committee, and as Chair of the Adult Education Committee. Before becoming Ansche Chesed's administrator-in-chief, Josh worked in children’s publishing for many years, holding executive positions at Golden Books, Dalmatian Press and Scholastic. He is the author of several children’s books. A graduate of Middlebury College, Josh holds advanced degrees in English and Comparative Literature from Columbia University. He and his wife, Claudia Chernov, live on Upper West Side and have three sons, Paul, Gideon and Eliezer, all of whom had their bar mitzvahs at Ansche Chesed. Physical plant manager John Dobbin has been Ansche Chesed's steady hand at the helm for almost three decades, overseeing every aspect of the building's physical operation, from the plumbing, electrical, heating and HVAC systems to the standpipe and the fire-alarm. He loves that no day on the job is like any other day, which means that he is always learning and never gets bored. While, early on, he took a course offered by 32BJ, the union of superintendents and other property service workers, John credits the mechanics and superintendents with whom he worked with teaching him his trade. He lives in Mt Vernon, NY, and is happily married "to the greatest woman in the world." Mariya Liberova, who joined Ansche Chesed’s staff in 2000, is grateful to be a part of the Ansche Chesed community, surrounded by people who truly care about her. Reporting to both the Executive Director and the Treasurer, she manages all aspects of Ansche Chesed's day-to-day financial life. This includes preparing the annual budget, creating financial statements, monitoring cash-flow, processing the payroll, and serving as the liaison with the synagogue's outside accountants during the annual audit. Mariya came to the US in 1995 after working for 26 years as an economist and full charge bookkeeper in her native Russia, where she earned a BA in accounting from the Moscow Institute of Finance and Economics. 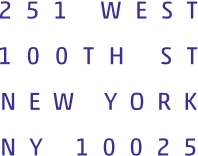 Before joining Ansche Chesed, she worked as a controller at HI-NY, New York City’s large Upper West Side youth hostel. Mariya lives in New York with her husband, Yakov, for whom she enjoys cooking and baking. When not at Ansche Chesed or busily engaged in the culinary arts, she enjoys sewing and spending time with her granddaughter, a major fan of Ansche Chesed's holiday events. Darone Ruskay would identify himself primarily as three things: a native New Yorker, a Jewish programming and Education professional, and an Abba. Raised in New York, Darone received his undergraduate degree from The University of Michigan, where he created an independent concentration in Holocaust Studies in Education. Upon graduation, he knew that he would return to New York. There, he attended New School and received a Masters’ in Non-Profit Management. Professionally, Darone has had a variety of positions in Jewish education and Jewish life programming, from serving as Conference Coordinator for the Coalition For The Advancement of Jewish Education (CAJE), Managing Director of the Skirball Center for Adult Jewish Learning, and most recently as the founder and Executive Producer at JCast Network. Darone is married to Rabbi Stephanie Ruskay, and the proud father of twin boys Nachshon and Betzalel. Director of Administration Martin Sivorinovsky loves working at Ansche Chesed because, despite a childhood light on Jewish culture and religious observance, he is intensely curious about Judaism. He also enjoys being part of Jewish communal life and is delighted to have some colleagues who, like him, are of Russian-Jewish descent. Born and raised in San Francisco, Martin earned a BA in exercise science from the University of California, Davis, and an MA in sports management from San Jose State University. He then worked as Associate Membership Services Director at the 92nd Street Y's May Center for Health, Fitness & Sport and as Operations Manager at LA Fitness. Martin is a former figure-skating champion who, after dabbling in singles and pairs skating starting at the age of 10, competed in ice dancing competitions until he was 19. In 1996, he and his partner became the Open Novice Ice Dance Champions at the U.S. National Championships. Martin enjoys weight lifting, fantasy sports and playing the bass, and he is proud to have climbed Mt. Kilimanjaro. He holds licenses in personal training, real estate and various forms of first aid. Maintenance Supervisor Tony Vicioso was born in Santo Domingo and raised both there and in New York City. He is the right-hand man of Physical Plant Manager John Dobbin, assisting him with all aspects of the building’s operation. Tony is also responsible for creating and maintaining the schedule for the five-person maintenance team and assisting caterers during bar/bat mitzvahs and other events. Tony lives on the Upper West Side with his wife and five children. Talia Liben Yarmush grew up in Natick, MA. The daughter of a Conservative rabbi and a lawyer, and the third of five children, she learned the art of communication at a young age. Talia graduated from Bryn Mawr College in 2006 with a BA in sociology and a minor in film studies. She has worked in public relations and communications for several years, and holds a certification in public relations from Rutgers University School of Communication and Information. A social media maven and an Oxford comma enthusiast, Talia is also a writer who recently finished her first novel and has begun her second. A published essayist, some of her work, which focuses on women’s and Jewish issues, can be found at www.taliayarmush.com. When not engaged in all of above, Talia can be found in New Jersey, where she lives with her husband, Gabriel, and their two young sons, Ezra and Asher. Mark Paul and his wife Naomi have now been members of Ansche Chesed since 2011. Excited about being a part of the AC community, Mark got involved on committees soon after joining. He has served on the Sanctuary Service, Membership, and Tribute committees. Prior to being elected President, Mark served on the Board of Trustees and three years as Secretary. Mark is inspired by the wonderful people he has met and friends he has made at Ansche Chesed. 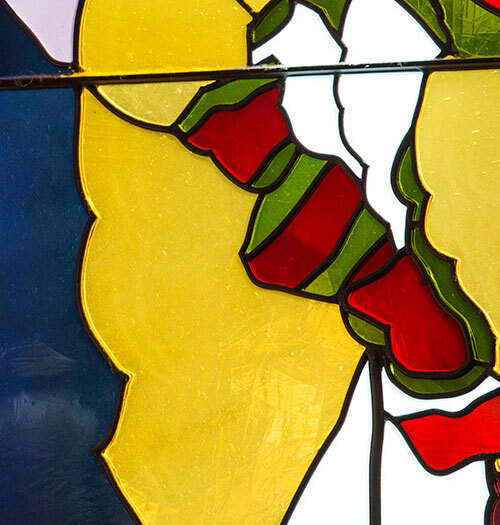 He aspires to have an exciting, joyful congregation with diverse offerings for our community to come together in prayer, learning, celebration, and play. Mark has a law degree from UCLA and a Masters in Public Policy from UC Berkeley. He and Naomi live on Upper West Side and have a son Ari, daughter Aleeza and four grandchildren, Yakir, Ruby, Reeva, and Tessa.